Forestry scientists research forest growth, wood processing, conservation and different types of trees, and how these can be used. Source: Scion and University of Canterbury, 2018. Chances of getting a job as a forestry scientist are good due to rising demand. 3-4 years of training required. Forestry scientists with a Bachelor's degree usually earn between minimum wage and $75,000 a year. Those with postgraduate degrees usually earn between $56,000 and $98,000. Those with several years' experience and increased responsibility may earn between $110,000 and $150,000. However, only a small number of forestry scientists earn at this level. Lecturers/postdoctoral teaching fellows usually earn between $76,000 and $93,000 a year. Senior lecturers usually earn between $98,000 and $111,000. Associate professors usually earn between $127,000 and $137,000. Professors usually earn between $146,000 and $183,000. Sources: Scion, 2018; and University of Canterbury, '2015 to 2018 Collective Agreement', 2018.
write and publish reports on research findings. At technician level, the main tasks are to help scientists prepare and carry out a range of experiments and tests. practical skills for performing experiments and operating scientific equipment. travel locally to forest sites. For Bob Shula, time spent tramping in the bush inspired a forestry career. "It turned on the lights and encouraged me to look further into it." Bob went on to get a forestry degree, and experience as a field technician and forest manager, but says he was destined for science over forestry management. "I was science-minded in that I preferred exploring science questions and looking at new approaches to doing things, so I went on to do a Masters." 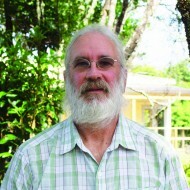 Now team manager of the forest genetics team at Scion, much of Bob’s work involves looking at ways to develop gene resistance to diseases such as red needle disease in pine trees. "It’s about improving the productivity of our pine forests. So I’ll use high-tech aerial data to build computer models to monitor the growth of individual trees and their wood quality. You can do complex science, but then you’ve got to be able to put it in a form that’s practical and useful for forestry companies." Long-term conservation projects are also a growing, exciting part of Bob's work. 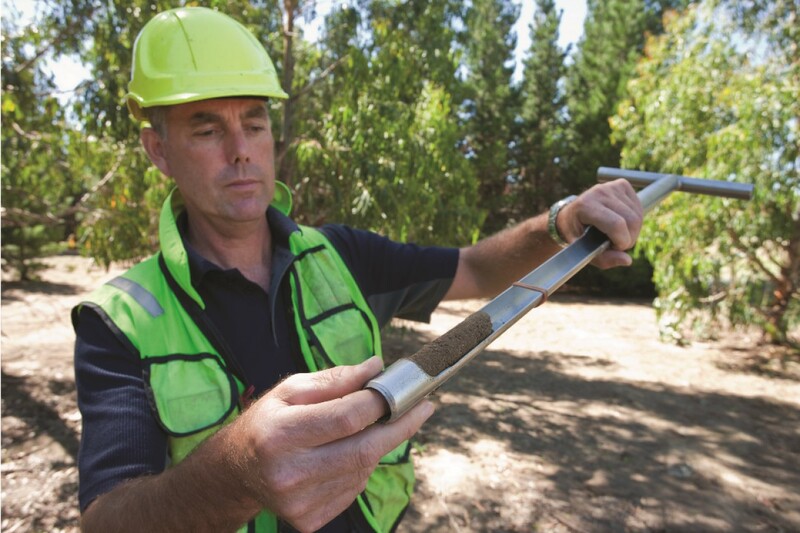 "We’re working with iwi to improve growth rates of native trees by crossbreeding. We're also working in Northland to improve resistance to diseases such as kauri dieback." To become a forestry scientist you need to have a degree in forestry science or engineering, or a related subject such as molecular biology, or plant physiology and genetics. Employers increasingly prefer you to also have a postgraduate qualification such as a Masters in science or engineering, majoring in forestry science. At technician level, a Bachelor's degree in a related science subject, such as horticultural science, is the minimum entry requirement. NCEA Level 3 is required to enter tertiary training. Agriculture and horticulture, maths, biology, and chemistry are preferred. English and economics are useful. patient and methodical, as some research may take a long time. You need to pay attention to detail and be patient because you’re not dealing with an annual crop. volunteer work in ecology and conservation. Experience driving four-wheel-drive and all-terrain vehicles may be useful when in the field. Forest scientists need to be reasonably fit and healthy as they may walk long distances when doing fieldwork. insufficient numbers of graduates with relevant skills. Demand for scientists with biochemistry or organic chemistry qualifications and experience is increasing as biotechnology research to develop products, fuel and energy grows. Forestry scientists are increasingly working with industry partners in areas, such as wood processing, where they can combine their knowledge and skills to produce specialty wood products such as laminated timbers. private sector companies such as environmental research institutes and firms doing forestry research. Botha, A, general manager, Scion, careers.govt.nz interview, October 2018. Elder J, 'A Billion Trees', Scion Connections, Issue 26, December 2017, (www.scionresearch.com). Elder, J, 'Forestry – Sunrise or Sunset Industry? ', Scion Connections, Issue 24, June 2017, (www.scionresearch.com). Ministry for Primary Industries, 'One Billion Trees Programme', accessed November 2018, (www.mpi.govt.nz). Forestry scientists with Bachelor's degrees typically start as technicians, sometimes progressing into research scientist roles after getting a Master's degree or PhD in the relevant science area. Forestry scientists with PhDs can apply for postdoctoral fellowships at research organisations or universities. It may take two or three postdoctoral fellowships to secure a permanent scientist or lecturer position. After several years' experience, scientists can progress into senior research scientist, team leader or managerial roles. Microbiologists study organisms such as bacteria, viruses, algae or fungi, and the effects they have on plants, animals and humans. They also develop products and procedures to benefit humans or the environment. Biochemists study the chemical structure and function of animals, plants and micro-organisms such as bacteria and viruses. They use this research to develop medical, industrial and agricultural products.